water convolvulus, or "Chinese spinach", "Swamp cabbage"
Ipomoea aquatica(Kangkong) is a semiaquatic, tropical plant grown as a leaf vegetable. It is found throughout the tropical and subtropical regions of the world, although it is not known where it originated. 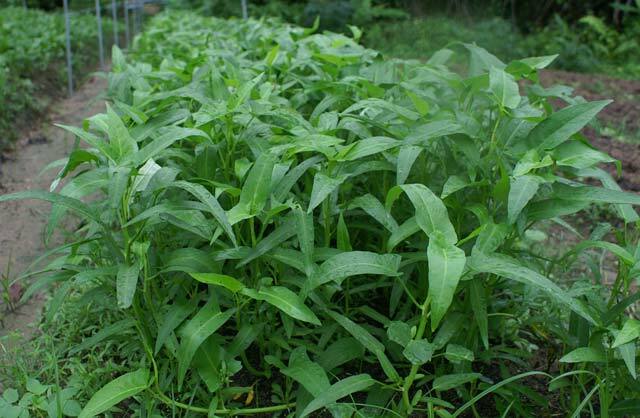 This plant is known in English as water spinach, river spinach, water morning glory, water convolvulus, or by the more ambiguous names "Chinese spinach", "Swamp cabbage" and "Kangkong" in Asia. Occasionally, it has also been mistakenly called "kale" in English, although kale is a different plant belonging to the Brassica oleracea Acephala Group and completely unrelated to water spinach. It is known as phak bung in Thai, trokuon in Khmer and kangkung in Malay and Indonesian. In the Philippines a variety of Kangkong is grown in canals dug by the Americans during the occupation after the Spanish American war. 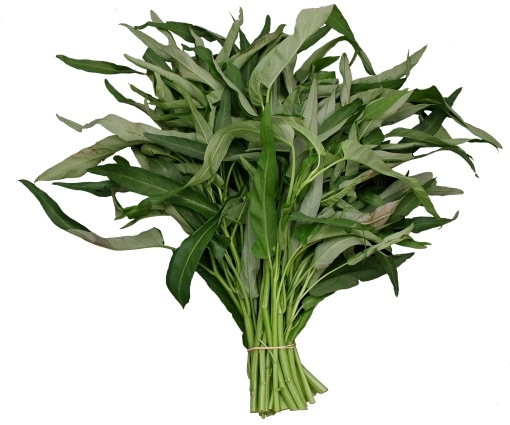 Another variety in the Philippines that grows on land is called "Chinese Kangkong" in the Philippines as opposed to the variety that is grown in water that is simply called Kangkong or "native" Kangkong. "Swamp cabbage" and "Kangkong" in Asia.